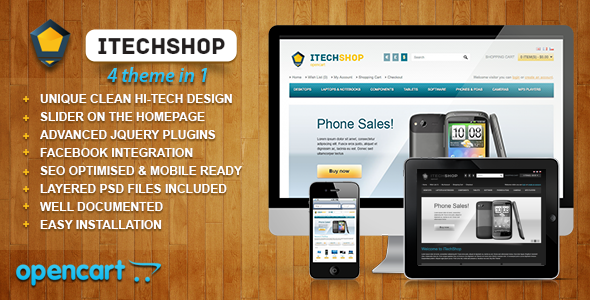 iTechShop Theme for OpenCart 1.5.4 – 4 theme in 1! 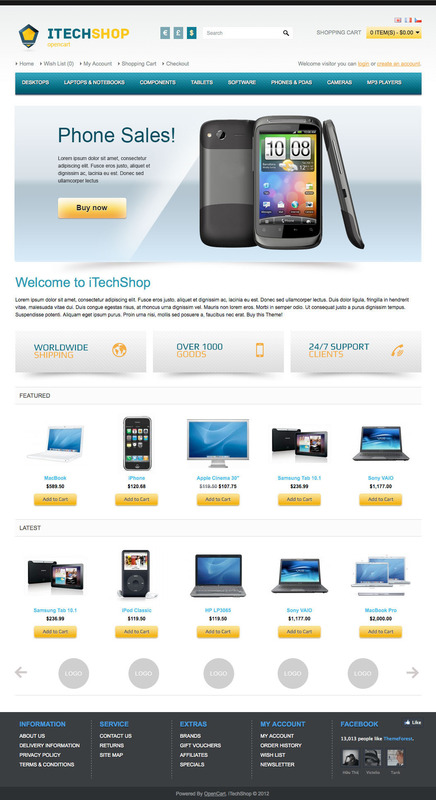 Great Hi-Tech theme for computer/tech shops. 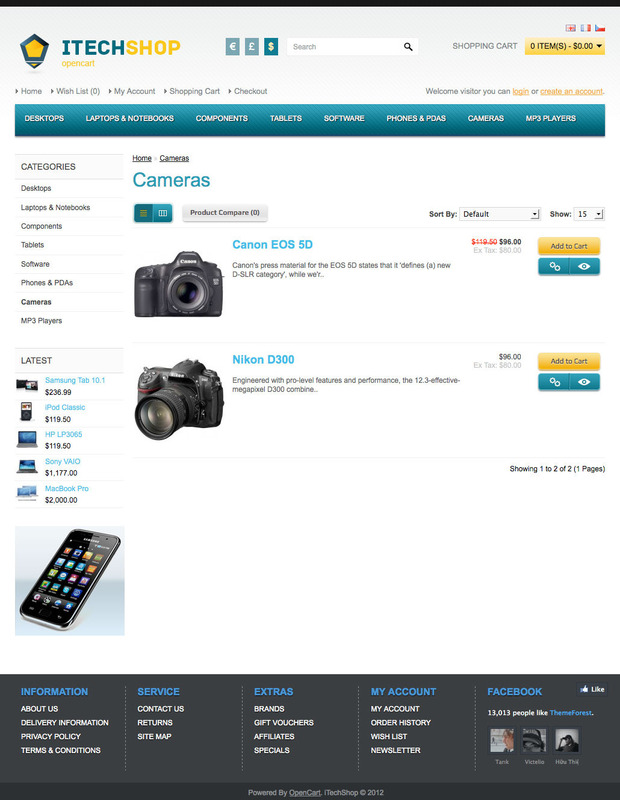 Support OpenCart 1.5.4.x version. 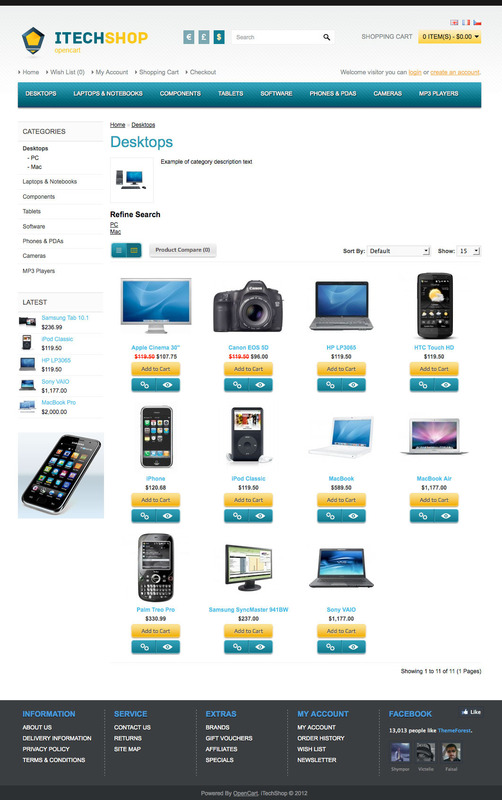 This theme supports OpenCart versions 1.5.4.x, as there are NO modifications in core files. Thanks for a very nice theme which was simple to install and use. Very quick response (minutes – not hours) from the author with a clear solution to a question we had. We can heartily recommend theme and author. <- This smiley says it all. Great, fast & clear service, well documented. A+++ I highly recommend! 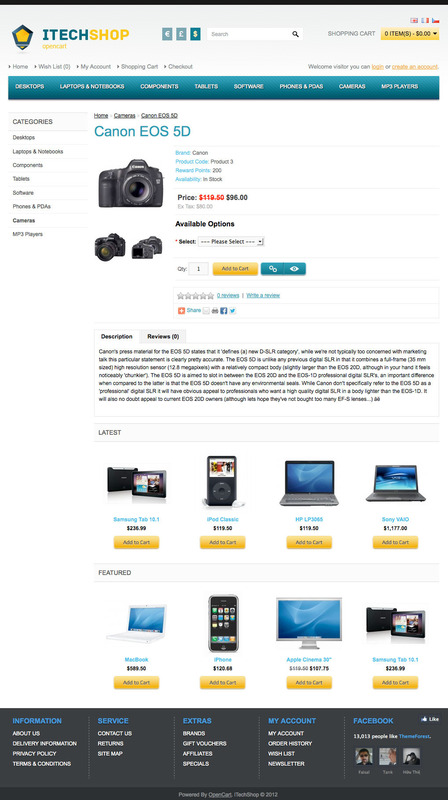 OpenCart is a FREE turn-key ready “out of the box” shopping cart solution. You simply install, select your template, add products and your ready to start accepting orders. It has order management and multiple payment gateways already built in and we provide lifetime free support and free software updates. Please contact me if you have any questions about theme or need installation help. In order to get my help you should contact me via themeforest user contact form.